As some of you already know, Groundhog Day was February 2nd and the famous Punxsutawney Phil saw his shadow this year. Unfortunately this means that we should expect 6 more weeks of winter! In light of this, we at BN Realty would like to talk about the beautiful outdoors to get past our “winter blues.” Constitution Trail is one of our favorite places in the Twin Cities and we hope that by the end of this guide our readers can picture themselves enjoying it and starting to get as excited for spring as we already are. 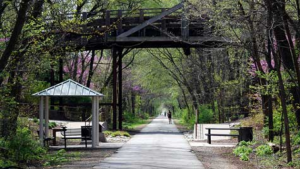 The Constitution Trail is a staple of our community here in Bloomington-Normal for walkers, runners, cyclists, and other non-motorized forms of transportation. The trail was initially laid in the 1980’s and covered a mere 4.3 miles. It was named in celebration of the 200th birthday of the US Constitution in 1987 and had its’ grand opening in May of 1989. Currently, it spans across 45 miles through our community! The trail end points can be found in Bloomington at Croxton Avenue and in Normal at Kerrick Road. Here is a map of the Constitution Trail. There are 8 branches of the trail: Southtown, Interurban, Northtown, Illinois Central, Bloomer Line, Park Trail, Route 66 and Collegiate. The trail bypasses many different parks and facilities including: the ISU Horticulture Center, Children’s Discovery Museum, Tipton Park, McGraw Park, Historic Franklin Park, Clearwater Park, Rosa Parks Commons, Fairview Park, Corn Crib, Underwood Park, the McLean County History Museum and Route 66 Visitor Center and many more. The trail has sections of asphalt, concrete, stone and dirt. 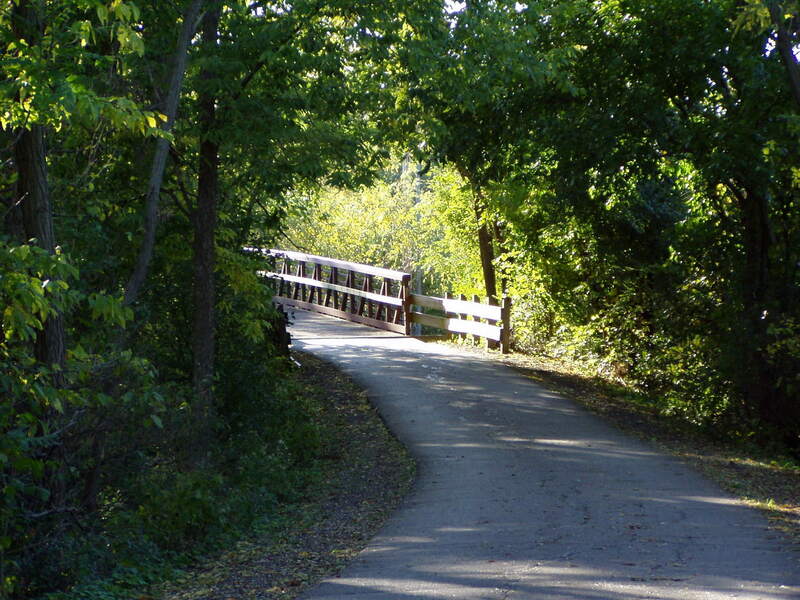 Some of the most stunning views of Bloomington-Normal can be seen while on the trail. Whether it be catching the rays of the early morning sunrise through the mature trees lining the trail, drops of rain dancing over wild flowers, or the sparkle of snowflakes blanketing untouched fields of prairie grass, we promise that there is at least one part of the Constitution Trail that will take your breath away. If you’re more of a wildlife lover – there’s plenty of animals to be found as well. Cardinals, golden finches, squirrels, butterflies, dragonflies, swans, geese, rabbits and many more are visible daily during the warm months. With the variety of parks along the trail there are countless different outdoor activities to be taken advantage of. 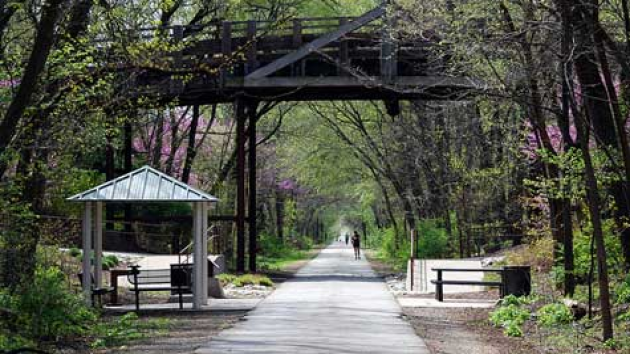 Aside from the natural elements of the Constitution Trail there are urban attractions too! The trail bypasses the circle in uptown Normal and many shops and restaurants. There’s always something to do in this section of town. 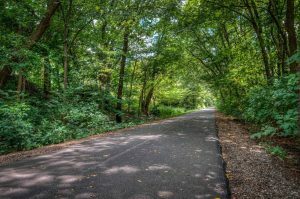 There are countless events that take place along the trail itself that are sponsored by the Friends of the Constitution Trail or the McLean County Wheelers, Town of Normal Parks & Rec, or the City of Bloomington. Please visit their websites for more information. 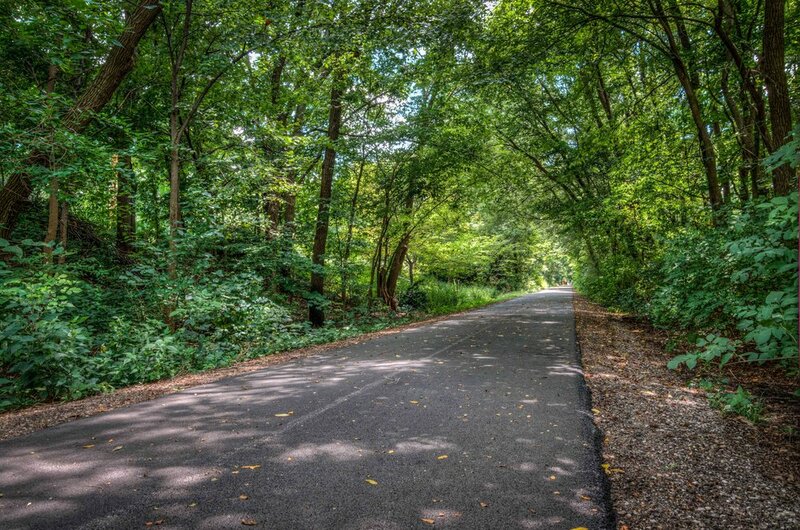 We could certainly go on and on about everything that the Constitution Trail has to offer and why everyone in Bloomington-Normal and the surrounding communities needs to spend a day discovering it, but we know that you won’t truly appreciate it until you see it yourself. Here’s to hoping that Punxsutawney Phil was wrong and spring is right around the corner for us! And in the meantime, please call BN Realty with any and all of your real estate questions and needs at 309-319-6030.